NELSON Mandela has not even been buried yet but it hasn't stopped News Corp's right wing attack dog Andrew Bolt from putting in the boot. 'Much of the sanctimonious grieving for Nelson Mandela is not just a sin against history - but a danger,'' Bolt writes in his latest piece for the Herald Sun. "Mandela was no Christ nor even Gandhi nor Martin Luther King. "He was for decades a man of violence. In 1961, he broke with African National Congress colleagues who preached non-violence, creating a terrorist wing. "He later pleaded guilty in court to acts of public violence, and behind bars sanctioned more, including the 1983 Church St car bomb that killed 19 people. The piece, entitled The Dark Side of Nelson Mandela, does point out the good work of the South African leader in fighting apartheid, but warns against washing clean his record of political violence. It seems Mr Bolt's mother didn't teach him it's not nice to speak ill of the dead, especially before he's been buried. But it has worked for News. It was the most popular story on its Queensland site on Monday morning. TOO soon? What do you think? Vote in our poll below. 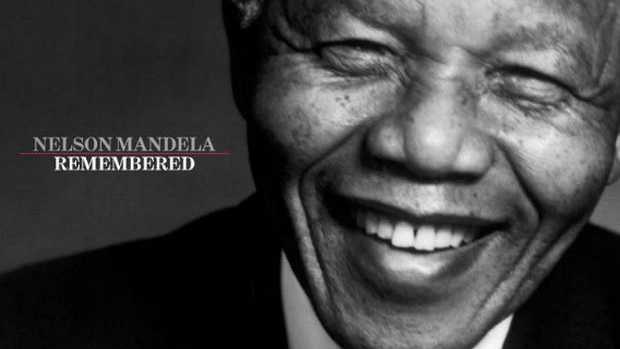 What did you think of Andrew Bolt's piece on Nelson Mandela? This poll ended on 12 December 2013.